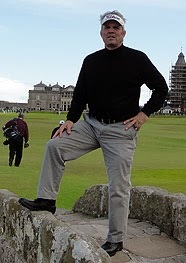 Golf Zoo's Blog: How to do Southwest Ireland RIGHT by Mike Leary! My favorite golf destination in Ireland by far is the Southwest. A mixture of it all awaits you there! Great accommodations, championship golf, authentic pubs, fantastic restaurants and shops but most of all the Irish people with their genuine knack for making you feel like you’ve come home. Personally I love the Malton Hotel in Killarney. This beautiful property, formerly the Great Southern Hotel, is located in the heart of Killarney and is moderately priced. The hotel has good size rooms, great food & beverage and one of the most important amenities, a fantastic pub for that after golf or late evening libation. The atmosphere is pure Irish! The hotel is conveniently located in the heart of Killarney and just across the street from the train station for effortless access to Dublin or other regions of the Emerald Isle. In my opinion, the best value for accommodations in all of Ireland. Killarney Golf & Fishing Club: Whether you want to play the Killeen course (home of the Irish Open) or the Mahony’s Point course, Killarney golf & Fishing Club, located on the outskirts of the town is a great venue for a day of golf where staying close to home is a priority. Ballybunion: The Old Course at Ballybunion combines a mixture of beauty and difficulty that will have you telling tales of great shots or talking to yourself as to why you ever took up the game. Regardless, a trip to the southwest is not complete without playing the Old Course. Additionally the Ballybunion Cashen course provides a chance of revenge against Ballybunion. While the Cashen course does not require the long ball, the smaller, elevated greens demands a great deal of accuracy. Tralee: This Arnold Palmer design is a tale of 2 nines. The front nine has challenge holes with some beautiful views, too many golfers are lulled into a false sense of confidence with dreams of a beautifully filled out score card that will be displayed to everyone you know back home. Well, the back nine will bring you to your knees and have you curse that the fact that you ever thought you could tame this monster. The elevations, tight fairways and tricky greens will bring you to your knees. Waterville: A true links course stays consistent in hole design throughout all 18 holes. Many golfers leave Ireland stating that Waterville is the course they like preferred over all the rest. Waterville was the site of the first transatlantic cable connection from the US to Europe. Samples of the cable laid across the Atlantic are displayed in the clubhouse along with great photos of Tiger, Payne, Mark O’Meara and others as they used Waterville as a preparation site for many Open Championships. Old Head: If you could find a stretch of coastal property to build a championship course that provided the best views in all of Europe, it would be Old Head. Situated on a 3 mile long peninsula just south of Cork, this course will take you at least 1 hour longer to play than others simply because of the beauty of every hole. It will be a toss up on your scorecard as to how many shots you hit vs. how many pictures you took. When you finish a round at Old Head you will immediately want to inquire about a replay. With that in mind, the course has created an overnight package, staying at the Lodge at Old Head with two rounds of golf included. To top off this great golf venue, the marine village of Kinsale is close by and provides a fantastic afternoon or evening of shopping, dining and sightseeing. There are numerous sightseeing opportunities in the southwest including the Dingle Peninsula, the Ring of Kerry, the Blarney Castle along with many more. A golf adventure to the southwest of Ireland is one that you will not forget and will want to repeat! Click here for a great example of how to do Southwest Ireland right This special includes 5 nights, 3 rounds with rental car, and is good now through September of 2014 for only $1399 per person! - feel free to call Mike Leary at 888.985.9165 for local advice, and a customized itinerary!